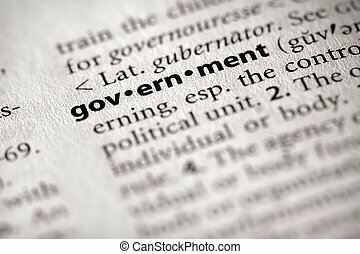 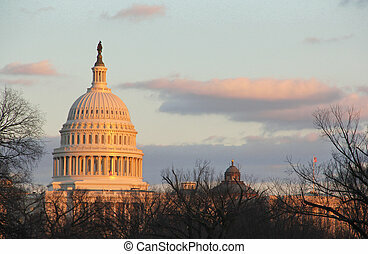 Government and capitol dome in washington dc. 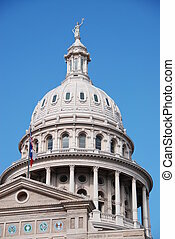 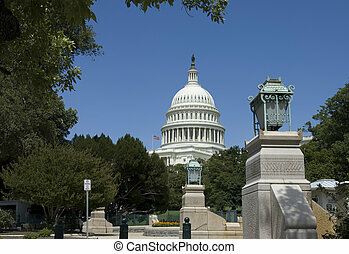 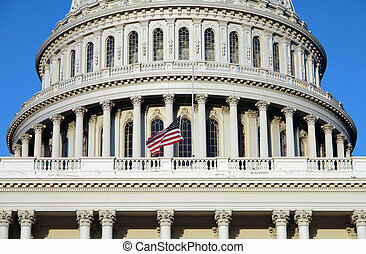 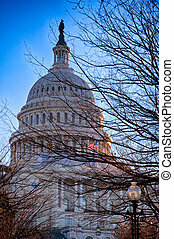 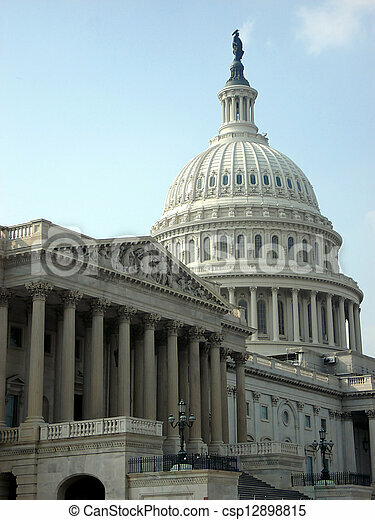 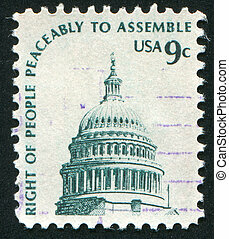 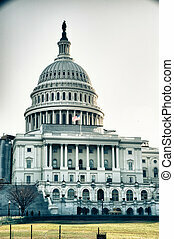 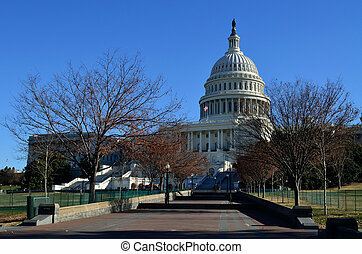 The United States Capitol in Washington, D.C., is a symbol of the American people and their government, the meeting place of the nation's legislature. 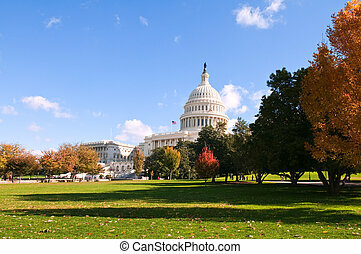 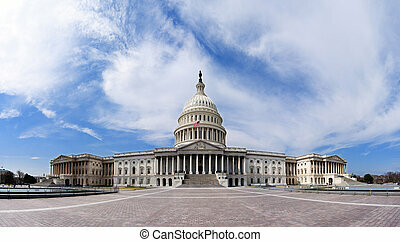 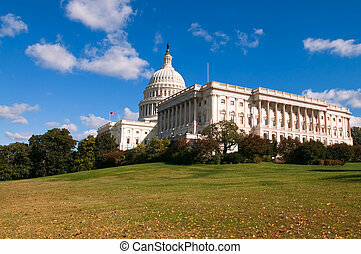 Wide angle panorama of the US United States Capitol building for Democrat Republican Government Senate and House congress parties under a summer blue sky with white clouds. 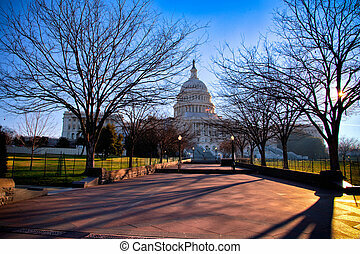 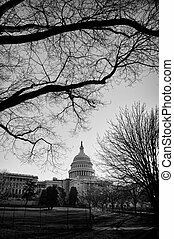 The United States Capitol building, Washington, D. C.
The dome of the Capitol Hill in sunset with winter trees in the foreground.